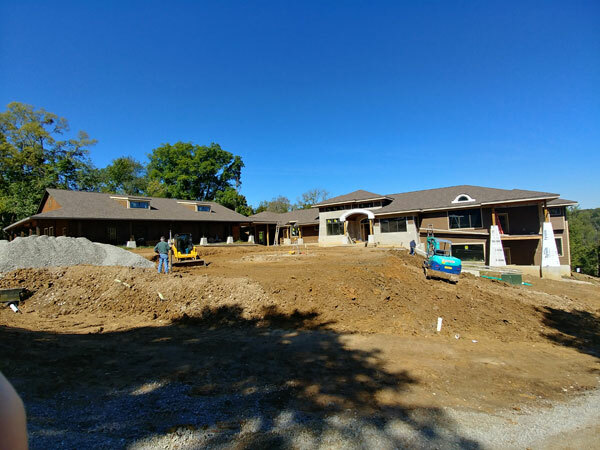 A progress update on the large Craftsman home designed by Childress and Cunningham. Above is a view of where an impressive circular drive which will someday usher family and friends into the new home. The main house is shown at the right, connected to an existing barn being deftly integrated into the composition to the left. Below, a view of the main house from the porch of the barn. 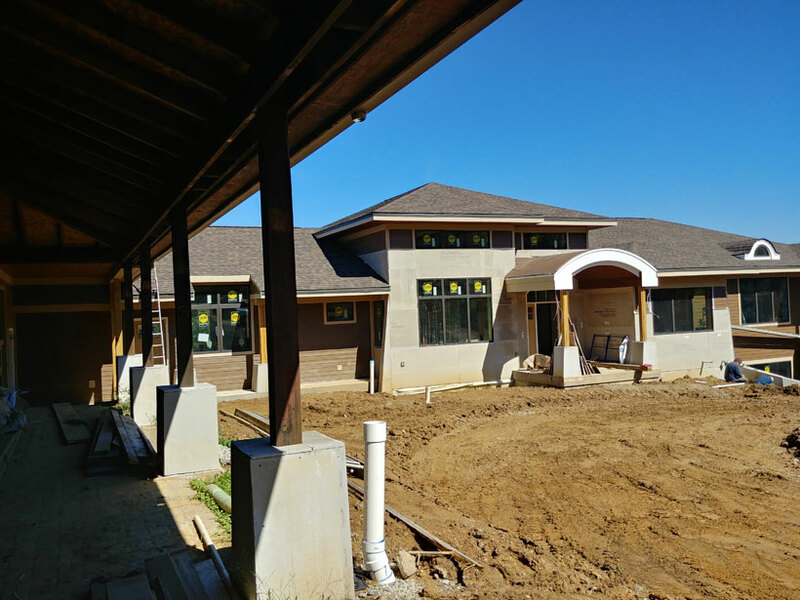 Notice the beginnings of flared column bases integrating the home and barn, plus the new barn dormers which echo the design language of the kitchen window just to the left of the home’s entry pavilion. 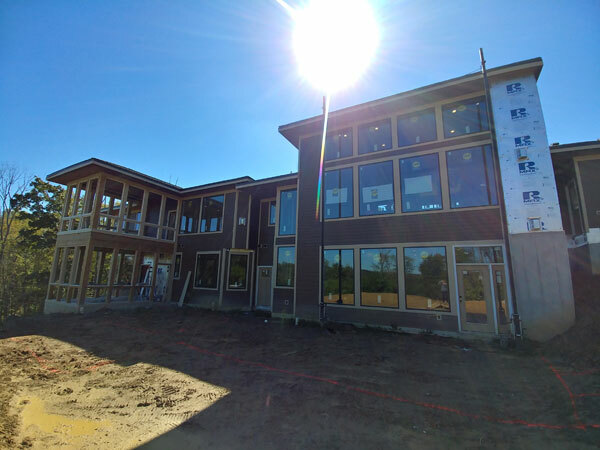 Below are two photos from the “view side” of the new residence. 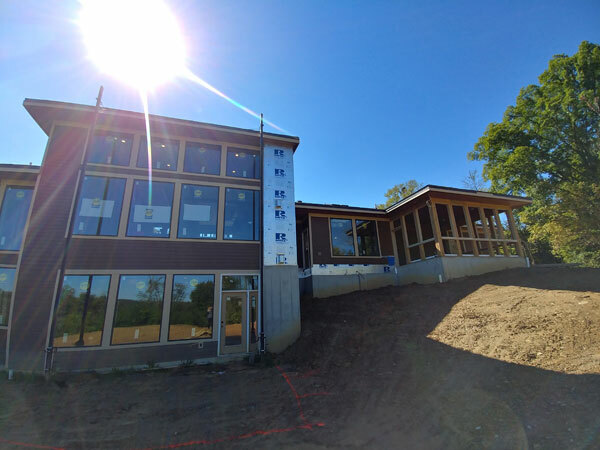 Even without the large patio and rear deck that are yet to be installed, it’s very obvious this house means business when taking in the scenery the site provides. The large walls of glass in the living spaces are accompanied by screened porches reaching out into the terrain to claim three-sided panoramas. We’re excited to watch this residence come together, and hope you’ve enjoyed a look as well. Stay tuned for more! Posted in Projects Single Family .